Mentor to be cross examined at State Capture Inquiry - SABC News - Breaking news, special reports, world, business, sport coverage of all South African current events. Africa's news leader. Mentor is back on the witness stand on Tuesday morning; she is expected to wrap up her testimony. 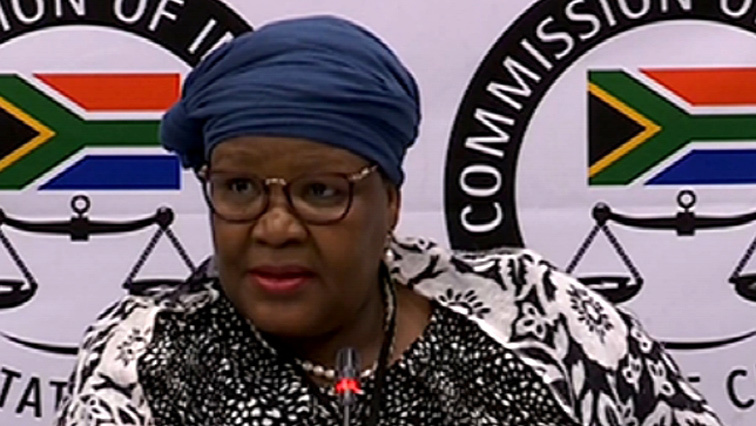 Former African Nation Congress (ANC) MP Vytjie Mentor is set to be cross examined by some implicated persons at the Commission of Inquiry into State Capture. On Monday, Mentor was questioned by the commission’s legal team on evidence she had presented. Much of her evidence did not correspond with investigations conducted by the commission. There after, she will be cross examined by persons she has implicated in her evidence. Mentor’s evidence will be questioned by two Hawks officials, Major General Zinhle Mnonopi and Mandla Mtolo. In her previous testimony, Mentor told the commission how a Hawks officer pressured her into removing former president Jacob Zuma’s name from her criminal complaint against the Gupta family. Businessman Fana Hlongwane and Duduzane Zuma will no longer cross examine Mentor. This entry was posted on 12 Feb 2019,05:31AM at 5:31 AM and is filed under Politics, Homepage Latest Stories Slider. You can follow any responses to this entry through the RSS 2.0 feed. Both comments and pings are currently closed.